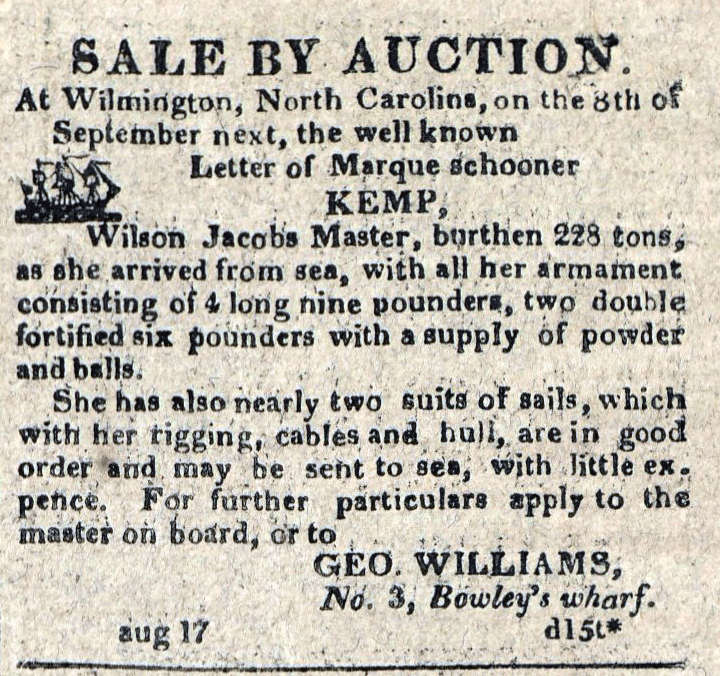 From the journal of Captain Henry Thompson, August 17, 1814. Courtesy the Friends of Clifton. These 24 hours commences with fresh Breezes and Hazy weather. at 8 PM hove too. At 10 PM saw Breakers under our lee bearing ENE. Filled away and tacked ship to the West. At 10 AM made a sail bearing North. Made sail in chase, & cleared away for action at 12 noon, came up with & captured the British Barke Mary from St. Johns’ N.F. bound to [? ], cargo seal oil, seal skins. We took out Mr. Curran and his 3 daughters and put Mr. Hall, and prize master on Board. & Ordered for the United Staes. At 4 PM filled away. head as p. log. On next days work. 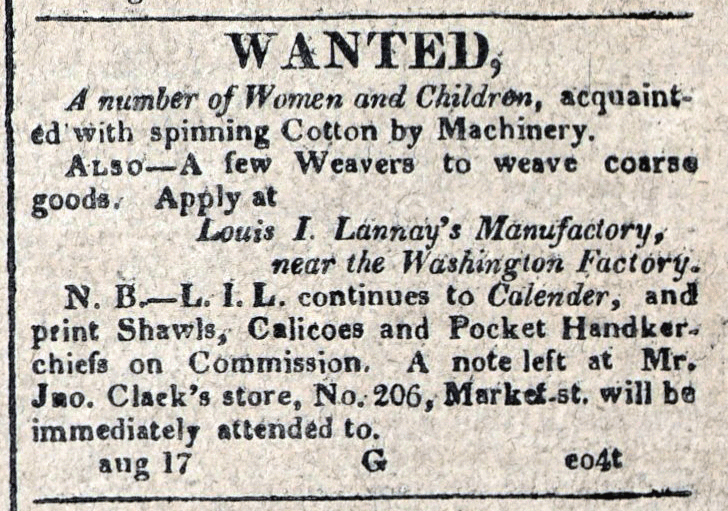 American Commercial and Daily Advertiser, August 17, 1814. Maryland State Archives, SC3392.